Newer adds for Files by Google are in the news. Well, that was fast, said a number of Google watchers: "Roughly a month after it picked up its new branding, Files by Google has gotten an update with some features added," wrote Ben Schoon in 9to5Google. Files by Google is a file management app, good for those regularly shuttling data back and forth, said Jon Fingas in Engadget. 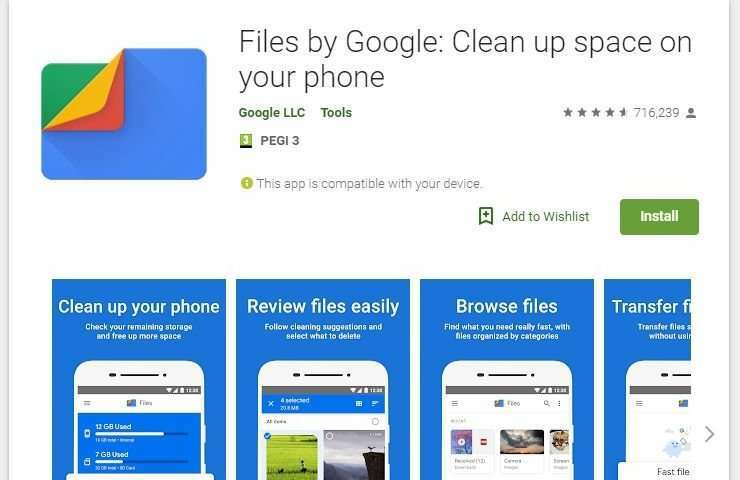 Android Police offered some background: "About a month ago, Google renamed its Files Go file manager to 'Files by Google' and refreshed the UI." It was not so much a first in that there were other apps out there providing access to Android's file system, said George Burduli in XDA Developers, but Google was coming out with its own file manager app: "Released in November of 2017, Files Go was intended to help users of low-end Android Go devices better manage their storage." Now there is a Files by Google update, rolling out now, said Android Authority. So what's new about the update? Two adds along with minor bug fixes. The adds are USB OTG support and better file support. Files by Google version 1.0.224103129 now supports USB OTG storage exploring, said Android Authority. But what does USB OTG mean and what is its purpose? The OTG stands for on-the-go and it gives you the ability to hook a USB stick (or drive) to your smartphone. Once you do, you can then use Files by Google to navigate through the file tree on that external drive, said Android Authority. A clear summation is thanks to Ausdroid. "USB-OTG – or 'On The Go' support "allows you to simply plug in USB drives, memory cards and other USB connected media to your phone or tablet. It's not super common to do, but with USB-C drives becoming more common the support to simply plug in a drive and see it in the Files by Google app is super welcome." Jon Fingas in Engadget: "Files by Google can move data to your thumb drive. If you want to offload photos to a thumb drive, you won't have to track down third-party software." Actually, developers already treat USB-OTG as something useful to have around. XDA Developers went into further detail. "USB OTG is a standard that allows your phone to act as a host for other USB devices like thumb drives, mice, and keyboards to connect it. Among the XDA community, USB OTG is particularly useful for flashing ROMs stored on a USB flash drive when unbricking a device that can't be accessed via MTP. It's also useful for when you have a large library of music or videos that you need to store on an external drive, so you can save your phone's internal storage space." The second add in the update is all about being able to view full folder structures. "The update also lets you see the entire folder structures for storage both on and off the device. You shouldn't have trouble tracking down a file in an unusual location, or moving it to a specific folder," said Jon Fingas in Engadget. Nonetheless, several tech watchers were quite clear on the recognition that not everyone would care about or use the new update. "Not many people will use this, but it shows that Files by Google is an app the company is taking seriously," said Android Authority. Among those openly welcoming the update was George Burduli in XDA Developers. "Bringing support for USB OTG to Files by Google will make it easier for users to browse the content of their flash drives," he said. "We're glad that Google has recognized the importance of their Android devices needing a proper file manager app, when so many other device makers have already offered a built-in solution for years now." The app had a nod of approval from Daniel Tyson, writing in Ausdroid: "Files by Google app is here and it's getting better with each update. A bigger-picture reflection on the update was shared by C. Scott Brown in Android Authority. "The app started as a way for users in the Android Go ecosystem to transfer files wirelessly without using data. Now, with its name change, it appears Google is trying to make it a fully-fledged app for all sorts of purposes." Google to serve next version of Android as 'Oreo"